Bing homepage gets daily a unique image as itsÂ background, usually the images are quite good. Now you can set Bing homepage image as your desktop background wallpaper that changes daily with the Bing homepage image. Microsoft has released a small application called Bing Desktop in Beta, this application changes your desktop wallpaper with Bing image of the day. After installing the app it automatically changes the wallpaper and adds a Bing search box at the center of your desktop. 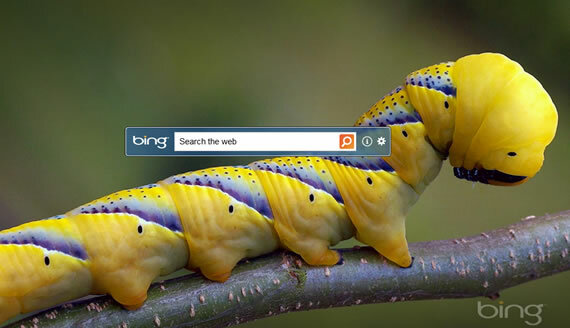 Bing search box allows you to search from the desktop, the results will open in your default browser. When you are not using the search box it will auto hide, so it wonâ€™t obstruct your way, you can get it back by hitting “Win + H” key. The application will only work on Windows 7, donâ€™t attempt to install in Windows 8 it wonâ€™t work. Download Bing Desktop Beta, Via Liveside.